I can’t have a criminal record. Is there anything you can do to help me? We get this question nearly every day from callers facing minor criminal charges. For many people, the consequences of a criminal record are very frightening and can have a life changing, negative impact. A criminal record can prevent you from getting your dream job, a scholarship, an apartment, and cause a variety of other unpredictable problems, now and in the future. Many organizations and schools routinely run CORI checks on members and volunteers. You need to submit to a CORI check to coach your child’s soccer team, volunteer to be a scout leader, or even just to chaperone a school field trip or event. The good news is that there are often legal defense options available that can avoid a criminal record. We are able to take care of a lot of these case if you receive a criminal citation to a clerk magistrate’s hearing. But we can also work out a deal to avoid a permanent criminal record that will appear on a background check after an arraignment, or sometimes, technically, immediately before it happens. Please call us for a consultation and we’ll discuss options and give you an honest assessment of whether or not there is a good chance we can help you fix this. There are no guarantees, but we’ve been able to negotiate a lot of outstanding outcomes for our clients. What are the options if you were arrested? Or received a summons to appear at an upcoming arraignment on a criminal offense? There are a couple of deals that we can often work out in cases with minor criminal charges. To completely avoid ANYTHING showing up on a CORI report or background check, we want to try to get a deal in place BEFORE arraignment, such as a pretrial probation disposition prior to arraignment. Most of the time, when people are arrested, an arraignment is set for the next business day. If you are issued a summons to an arraignment, there is more notice and more time for us to work. Arraignment sessions start at 9am in district court. That can be tight if you are being arraigned the next day, and there is very little time to get the most sympathetic and compelling background information from you to make the best case to the judge or prosecutor. The earlier you hire us to represent you in your case, the better. Sometimes hours can make a difference, so call us immediately. If you’ve been arrested your next court date is an arraignment. At an arraignment, once your charges are read into the record, and your plea of not guilty is recorded, you are formally charged with a crime. Once you are charged with a crime, even if it is dismissed, you may still have a record of being charged. The charge only shows up on some background checks, but it can be a problem for some people. Sometimes it is possible for us to get the case dismissed prior to arraignment. Even on the day of the arraignment itself. I would file a motion to dismiss, and try to get that motion heard before the arraignment, or essentially hijack the arraignment process to get our motion heard. A pre-trial probation is a disposition where you don’t have to admit to any wrongdoing, at all, and usually don’t even have to agree to any conditions or perform any extra action at all. It essentially puts the prosecution of the case on hold before it even starts. If a certain amount of time passes, the case gets dropped completely. There are no specific criteria to be eligible for a pretrial probation, other than it must be a very minor, first offense charge. However, the Assistant District Attorney prosecuting the case must agree to this disposition, so making the case to the prosecutor and gaining consent can take some time, effort, and planning. PTP does not involve an admission of guilt and any violation of the terms of probation results in, at worst, the resumption of the criminal proceeding. So you still have all standard legal defenses available to you, such as a motion to suppress or dismiss hearing, up and to and including taking the case to a jury trial. If we can negotiate a PTP prior to Arraignment, that is the absolute best case, and means no criminal record, even temporarily, since you were never formally charged at arraignment. As your attorney, I can also ask for a continuance of the arraignment for more time to try and convince the ADA, but if he or she doesn’t agree, that won’t happen. Arraignments are typically the next business day after an arrest, so the timing on this can be challenging. As your attorney, I can also ask for a continuance of the arraignment for more time to try and convince the ADA, but if he or she doesn’t agree, that won’t happen. Particularly in cases with a 3rd party victim, ADAs are often very reluctant to dispose of the case with a PTP. This early in the process, they may not have heard from the victim and can’t be sure they are ok with it. A prosecutor usually makes it a priority to be certain that the victim’s needs and desires are covered before working out a deal favorable to the defendant, so that can take time. If you received a summons to appear at an arraignment and weren’t arrested, then it may be weeks before your arraignment court date. This is ideal since we have a lot more time to work out a pretrial probation deal before you need to be in court. However, the fact remains, due to the timing issues and other challenges, a pretrial probation disposition is more likely to happen after an arraignment, but before a plea at a pretrial date. A deal for a pretrial probation after you have been formally arraigned is the more typical way it plays out. Technically, you have a “pending case” after you’ve been arraigned, but any prosecution is on hold for 4-6 months and dismissed thereafter. A pending criminal charge will appear on a standard civilian CORI check in the same way that any pending case would until it is dismissed. If the case is ultimately dismissed, there will still be a CORI entry only seen by those with access to see “non-convictions”, for example, the level “Required 2”. This level is available to organizations that work with children or the elderly. It is not a “criminal record” in that it is not a conviction, but it still could conceivably cause an issue for those groups unless you choose to get your record sealed. The terms of PTP are as broad ranging as those for any probationary period and can include, e.g., community service, drug testing, stay away order or other conditions mandated by the court and monitored by the probation department. A pretrial diversion is similar to a pretrial probation but is a little more complicated and available in more limited circumstances. But it’s a great opportunity for a young person to avoid a criminal conviction. A pretrial diversion happens before an arraignment (often on the day of arraignment), so, therefore, the charges will not appear on the CORI. If you’ve been arrested, as your attorney, we need to be there at the arraignment session to jump in and ask for a continuance instead of pleading guilty or not guilty. See the section below on requesting suitability for a pretrial diversion from the judge. have received a recommendation from a program that he would, in light of the capacities of and guidelines governing it, benefit from participation in said program. There are similar criteria for veterans of any age under the Valor Act. Also, upon motion by the defendant, subsequent offenders may also be eligible, including 2nd offense OUI charges. Defendants charged with certain types of assault charges or larceny against the elderly are ineligible. The “Valor Act” is a specific type of pretrial diversion reserved for Veterans. Under 276A section 10, any veteran with an honorable discharge and without a prior conviction may be eligible for this program. It applies very broadly, with the goal of giving extra consideration to anyone with prior military service who may have had difficulty adjusting to normal civilian life. Common charges used in Valor act cases are drug possession or assault. You do not need a formal diagnosis of addiction issues or PTSD to be eligible for this benefit. And because the diversion goes into effect prior to arraignment, theoretically it can be used more than once, since you wouldn’t be convicted of a crime, and therefore wouldn’t be ineligible for a second incident. At the arraignment session when your name is called we will ask for a continuance for the purposes of the assessment of suitability for a pretrial probation program. The statute specifically allows for a 14-day continuance before being arraigned. No statement made by the defendant during the evaluation can later be used against him.After a report is provided to the judge by the program, the judge decides whether to grant the defendant PTD. After a report is provided to the judge by the program, the judge decides whether to grant the defendant PTD. It is entirely at his or her discretion, and the prosecutor does not have to agree with the decision. No admission of guilt (or sufficient facts) is required by the defendant. To complicate things, the judge has the discretion to require a “hearing of the facts”, but withhold any determination of guilt during the period of diversion (referred to as a CWOF in the statute). By my reading of the statute, this likewise would not require the defendant to admit to any facts (as we would normally understand a CWOF to require). If PTD is granted, the case is continued for a period of 90 days, following which it is dismissed. As with PTP, a violation of the terms of PTD results in no sanction but, at worst, the resumption of the criminal proceeding. Of course, the most obvious way to avoid a criminal record is to not be convicted at all, which may mean fighting the case at trial and arguing your case to be decided by a jury (or a judge, in a bench trial). This is an excellent option in cases where the prosecutor simply won’t agree to a reasonable deal that avoids a conviction. and can be absolutely necessary for more serious cases. Sometimes the DA won’t agree to a deal at all, and would rather “go down swinging”, even if they know the evidence against you is weak and they probably can’t win. We are always ready and willing to take our cases to trial if that’s what the client wants, and that is what justice demands. It takes a lot longer, often 6 months or more to get resolved. During the time of the open case, you have a CORI record that shows a pending charge. It costs more in legal fees. We do extensive case preparation for trial, as well as several extra preceding court dates. A trial is always Constitutional your right in the criminal justice system and often makes sense. Sometimes even if you lose, your penalty isn’t any worse than what the DA was offering for a plea deal in the first place. We will discuss all the details in a strategy meeting with you. Can I get a Pretrial Diversion After I’ve been Arraigned? No. If you’ve been to your arraignment, plead not guilty, and the charged was issued, it’s too late for a pretrial diversion. We can still try to work out a pretrial probation. Should I be concerned if there is an entry on my CORI if the case is ultimately dismissed? Maybe not. The only minor downside is that the entry will still be seen by law enforcement and the court and, if you ever have future involvement with the court, it is always better to have a truly “clean” record. If you are arraigned, the charge may be visible to certain members of the public (e.g., potential employers) for as long as the case is “pending”, until is it dismissed. And charges that were issued at arraignment and later dismissed will still show up on Required level 2 background checks. Level 2 access is granted for employment or volunteering with organizations including schools or organizations dealing with the elderly, for example, unless you get the record sealed. Which is better: a Pretrial Diversion or Pretrial Probation? It depends on what you are eligible for, and what we can get. They are all very good outcomes that either completely or mostly avoid anything ever appearing on your CORI background check. But it we can get it, a Pretrial Probation prior to arraignment is generally the best outcome. There are no eligibility criteria and no requirement to complete any particular diversion program. This would typically be a viable option in only the most minor of cases, such as MIP of alcohol or minor disturbance of the peace, etc. And it is also more likely for younger defendants who used poor judgment. A Pretrial Diversion would generally be the next best outcome, since it also results in no CORI entry. It is an opportunity for a young first-time offender who has committed a more serious offense to keep a clean record (i.e., no CORI entry). However, this would depend on the charge, the facts of the case and the wishes of the client (assuming eligibility). Because petitioning for a pretrial diversion requires jumping through a few hoops, some clients may prefer to be arraigned and try to get a pretrial probation or a CWOF, when the case will be dismissed anyway (CORI entry notwithstanding). 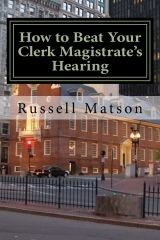 After an arraignment, the best possible outcome short of getting the case completely dismissed is a pretrial probation, as it does not require an admission of guilt and any violation results only in the resumption of the criminal charges (i.e., we pick up where we left off and a further plea or trial is still available). Lastly, a CWOF (continuance without a finding) requires an effective admission of guilt. And any violation during the continuance period can result in the entry of a finding of guilty. It is still not a bad option, as it will clear your CORI after the continuance period for most people doing a background check. Post ARR, both PTP and CWOF will appear on a CORI and both will ultimately be dismissed if the probationary conditions are satisfied. As you can see, this stuff is a bit complicated! Please call us anytime for a consultation of how we can help you in your exact situation! But act quickly, especially if you are about to be arraigned. Time is limited for our best opportunities to avoid a conviction on your record.